As per the market buzz there were many stocks in the current scenario which were pumped up purely on Margin Funding and at some point with the intention to dump it ! Many brokers would give 3-4 times margin on the stock or by pledging. 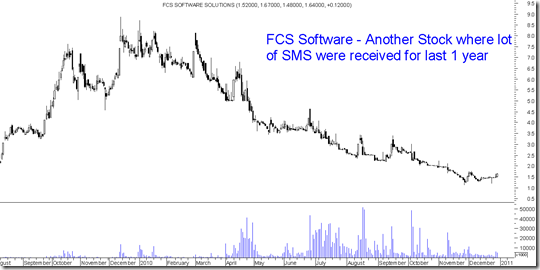 Quite a lot of investors were pulled into the stocks by SMS, rumours etc. As per market-men quite a lot of financers have been ruined in the below stocks. The funding rate was 24-36% per annum for such operations 🙂 so some point of time this had to end as no stock can continue going up at that rate forever. In the end it some time seems one needs to have a better filter to cut out such stocks. 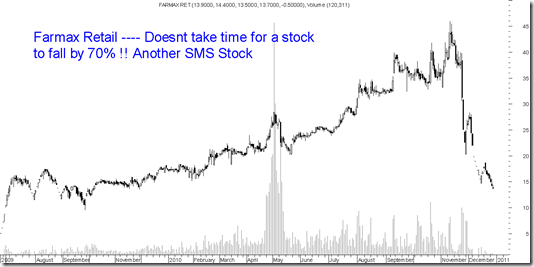 Another stock which was ramped up on huge volumes. the stock did not fall even in worst times of 2008-2009 but one fine day saw a crack after split announcement killing a lot of people. After a few months the same story repeated with a move from sub 10 levels to 50. Market buzz is in next 1 week the margin selling would be over. 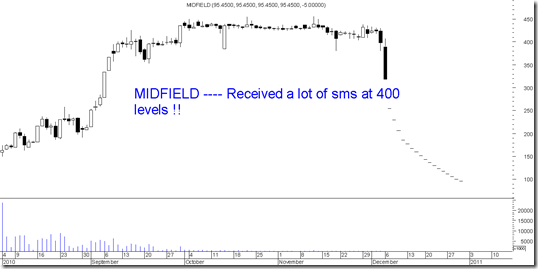 The stock was also received as a sms at 300-400 levels about huge moves etc to dump the stock. Had posted about this stock before also ! 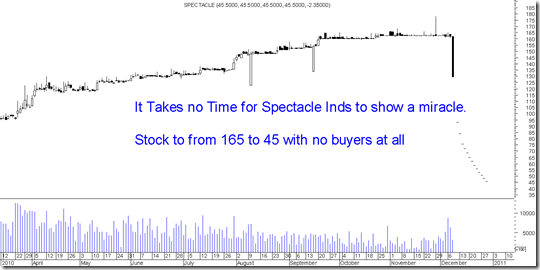 There are many such stocks which keep outperforming the market with 3-5-10 times move and one fine day back to none. Sometime back had mentioned about Wellpack Papers the stock is down from 110 to 20. ! 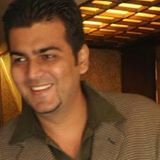 What is your view on DB Realty. I am holding 180 at a price of 312. Wish you and your family a very happy and prosperous new year! What is your views on Karuturi Global ? Planning to add the stock in my portfolio. I wish new year will bring you health, welth and happiness to you and your loved ones. Wish you a verry happy new year ! Nutek glorypoly selmfg ashtavin spectacle tanla cranessoft ramanews list is endless now is the time to show no mercy to those who enter these stocks after so much media awakening.But manipulators show in between upper circuit that makes it a killing field.No chart no analyst can predict in advance the inner tactic to be employed by them.Promoters themselves doing this in consultation with brokers will ruin the fund raising capacity of small cos.